One of the most festive holiday activities doesn’t end at New Year’s, but rather lasts through the winter. Ice skating in NYC is a hot activity, with lines easily wrapping around the block at the Bryant Park Winter Village and Rockefeller Center’s ice rink. But this isn’t a new trend. 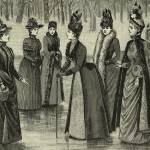 Ice skating has long been a popular social pastime for New Yorkers, whether on a frozen pond in Central Park or at the Biltmore Ice Garden at the Biltmore Hotel. 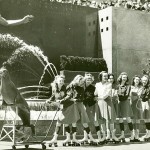 Plenty of historic photographs exist, documenting the transformation of the New York ice skater; so we’ve put together a timeline of this winter activity. 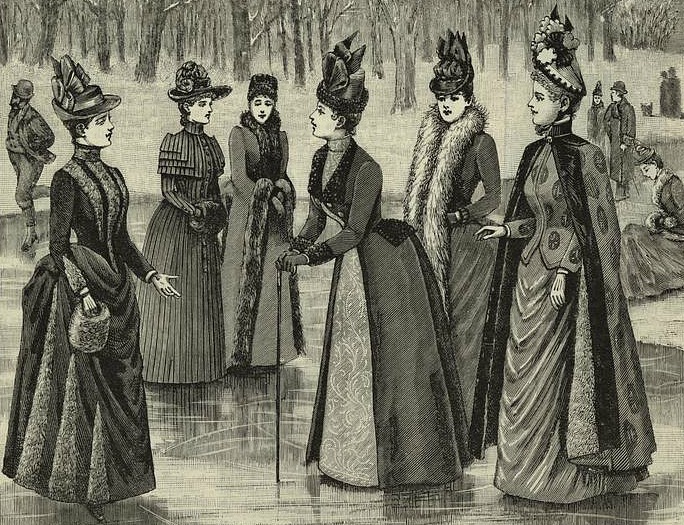 Back in the 19th century, female skaters were sure to be decked out in the latest fashions despite the frigid temperatures. These photos were taken in 1894. A woman and girl are skating on a frozen lake in Central Park with the Dakota in the background; another shot shows a large group crowded onto the lake. Skaters line up for their turn on the ice in Van Cortlandt Park in 1906. Biltmore Ice Gardens, the Biltmore Hotel’s skating rink, in 1915. Workers lay the water pipes for the Rockefeller Center ice skating rink in 1936. 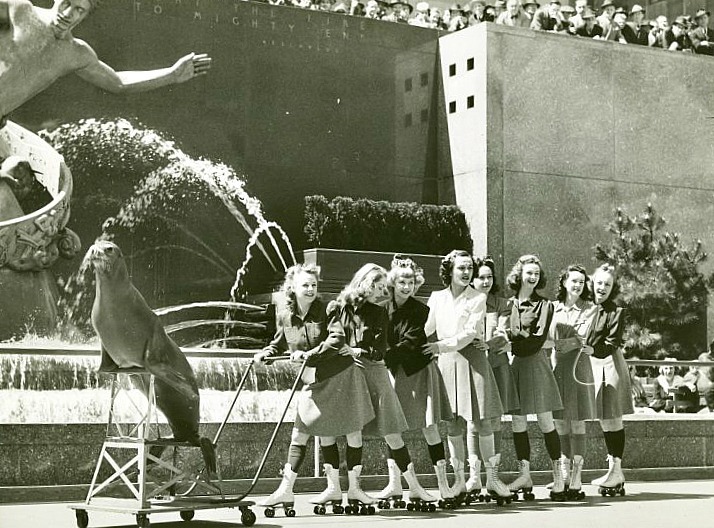 Here’s a fun photo from 1940 of Sharkey, the famous trained seal who appeared alongside Jack Haley, Marta Eggert, and Shirley Ross in the musical comedy “Higher and Higher” at the Shubert Theatre. He’s the guest of honor at the Rockefeller Center skating rink with the Specialty Dancing Girls who are wearing roller skates instead of ice skates. Central Park’s Wollman Rink in 1955. The Rockefeller rink in 1960.